Today is the 8th anniversary of our accident. I still remember the day so vividly. What strikes me most is how ordinary it all seemed. I didn’t wake up with any strange premonitions. It didn’t seem like the last morning that Anne would be able to get out of bed by herself. Walk herself to the bathroom. Brush her own teeth. Use her left hand. There were no shouts from above urging me to look close – that this was the last day I would see her bright, intelligent eyes – the last day she would jump, move, smile, create, and live as a typical child in a typical family. A lot changes in 8 years. On the day of our accident, I had two preschoolers and one 2nd grader. Today I have one in high school and two in middle school. So much has changed. We’ve all grown. Yes, we’ve grown physically – but I think we’ve grown more spiritually and emotionally. We give more. We love more. We’re more grateful. A little more patient. Eric and I have grown into our roles of caregiver. Anne is such a delight. We both receive so much more from her than we give. So yes, I still miss our typical Anne. 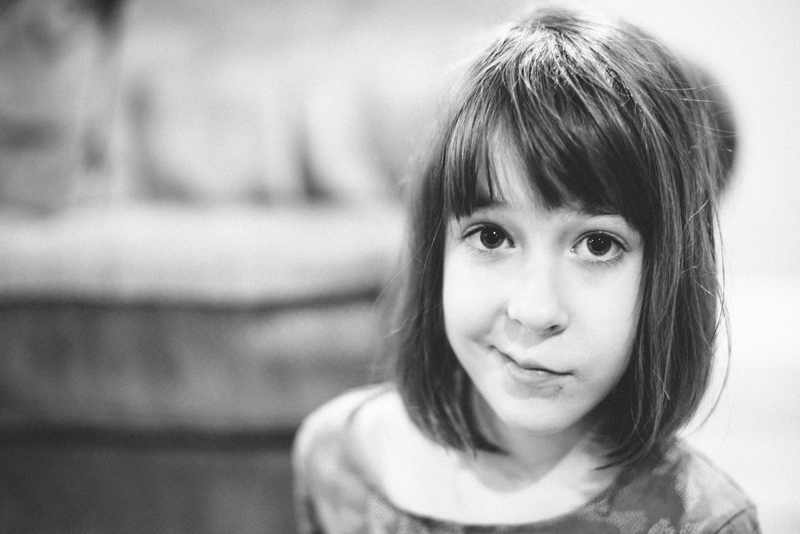 But the loss of the five-year-old Anne makes me more grateful for our 13-year-old Anne. I savor her words. Gaze at her eyes. Marvel at her smile. I drink in her joy and share in her sadness. She makes my life richer – more worth living somehow. And I’m grateful! The other night I dreamed that Anne could walk. I woke up that morning overwhelmed with joy which was quickly replaced with disappointment, but in the end, I decided to land on “hopeful.” In my half-awake state, I heard Anne calling from her bedroom, “Mommmm! I need to go to the bathroom!! !” Bleary eyed, I walked to Anne’s room, only to find her – not in her bed – but in the hall, right outside the bathroom. She can scoot to the bathroom, but she has never done it in such a purposeful way before. I’m a firm believer in the sovereignty of God. If I look at the seemingly random events of my life through the lens of God’s sovereignty, sometimes I see patterns. That morning, Anne’s purposeful scooting to the bathroom immediately after my dreaming of her walking – seemed like a pattern. I would never go so far as to think it was a promise that Anne would walk! (The Bible doesn’t promise that!!) But…I do think it was a loving reminder that God sees the longing of my heart and cares. I was encouraged as I reflected on God’s sovereignty and could feel myself relax as I thought…God is in control. I’ve also been encouraged by Anne’s progress in therapy. Her walking has dramatically improved. She is standing much straighter and crouching much less. Her endurance has also improved. The first day, she was able to stand for only 2-3 minutes. Today, she stood for 15 minutes. She also walked for 20 minutes (with support) on the treadmill. Her step size has increased as well as the speed of her walking. Also, she is propelling and steering her new walker independently. We typically see these kinds of dramatic improvements a few months after therapy. To see so much drastic improvement during therapy is very encouraging! See…God is in control! Anne’s last day of intensive therapy is Friday. This session has flown by and seemed much easier to manage than in years past. That’s due in part to good friends who have offered to drive Anne for me a few times each week. I have been lifted and sustained by the body of Christ. Another reminder that God is in control!! I do know this (in the wake of Thanksgiving)… I am deeply grateful for my life and the many jobs God has given me. I’m thankful to be Eric’s wife. He’s away on business and I miss him. It’s nice to miss someone you love. I’m thankful to be a mom – to a growing teenage boy, a spunky tween girl and to my Anne. The other day I was looking into Anne’s face and realized that I can’t imagine Anne without her brain injury. The injury has seeped into the deeper places of her person. I can’t see the “old Anne” anymore. It’s just Anne. I think this is good. Not the injury. The injury will never be good. But God’s work in our lives – helping us to accept his goodness in spite of Anne’s injury – that is good. I’m also thankful for my teaching gig. I like teaching Latin to middle schoolers. But what I like most is just being with the kids. I love watching them grow and hopefully playing a small role in nudging them toward the Savior. So my empty feeling is a false alarm. I’m not empty. Only tired! And it’s the good sort of tired that comes after meaningful work. Speaking of work, Anne starts another round of intensive therapy next week. Fifteen, four-hour therapy sessions will be spread out over the next month. My prayer is that she will begin to get stronger. She needs more strength to keep up with her growing body. I’ll post a few updates on her progress. We dropped Anne off at overnight camp yesterday. It’s an amazing camp for kids with TBI. They provide a one-to-one counselor to camper ratio so that kids with disabilities can experience the independence and fun of a typical camp. Anne loves it. As much as we cherish a break from caring for her, we miss her person while she’s gone. Kate struggled to go to sleep last night without her sister, “She talks me to sleep, Momma. I miss Anne.” So we send Anne letters and pray for God’s protection. …God has always taken care of you and he always will. He took care of you when you were in the hospital and could not speak or move, and He is with you now. God healed you because He has giant-sized plans for you. We are so thankful that you can talk to us and bless us with your kindness, love and even your wit. Anne, you are such a blessing to our family because you love us so unconditionally. You are quick to forgive, have a short memory for wrongs, never hold grudges, and are quick to show us love. God gave you a special joy in your heart, and it is infectious. Keep sharing that joy you feel with others…. Eric beautifully summarized what I have been feeling all summer. Even though it is physically difficult to care for Anne – and will only get harder as we both get older – to be loved by Anne is other-worldly. It’s a taste of heaven – a holy encounter. Her love is lavish and unfiltered, uninhibited and free. The sheer weight of her love is staggering. Words can’t describe it. 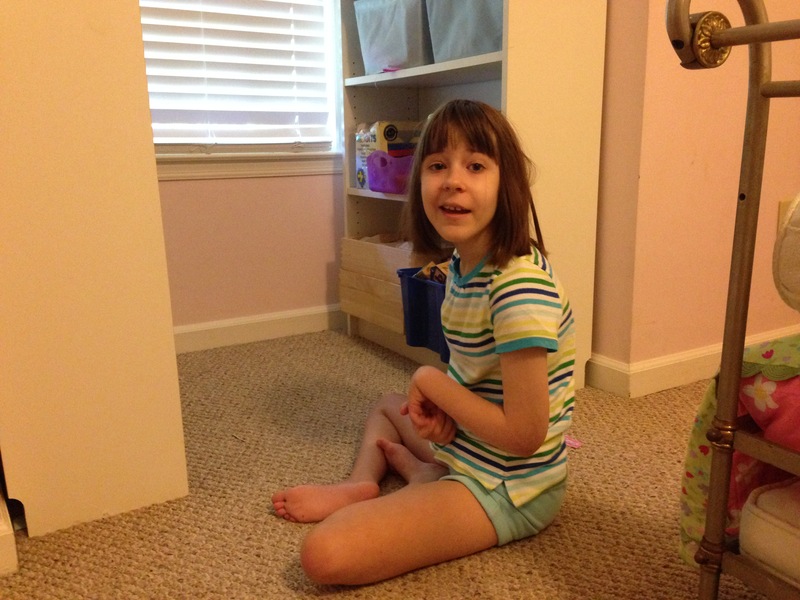 This morning marks the first time ever (for our “new Anne”) that she has gotten out of her bed all by herself! She was bored and impatient waiting for me to come up to get her – so she got out of bed, scooted herself over to her bookshelf and started to play. This is what I found when I came upstairs this morning! I was THRILLED! This mess represents desire, determination, motor planning, independent thinking, and courage with a bit of mischievousness. These are new qualities that we are seeing in Anne this summer. She seems to be restless – like her brain is craving new challenges and stimuli. This is a good sign of growth and progress – but it is also challenging for the whole family! We feel like we’re cleaning up after Anne ALL. THE. TIME. 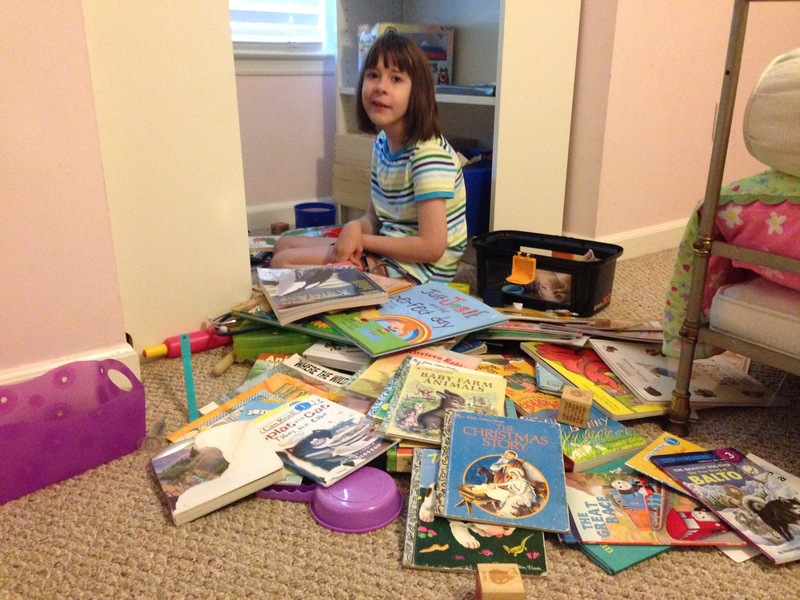 I’m happy to clean up after Anne if it means she’s making progress… But she does keep us busy! Next week, Anne begins three weeks of intensive TheraSuit therapy. This could not come at a better time as she is ready to be challenged! If you think of us, please pray for energy for both me and Anne as we tackle the taxing schedule of intensive therapy. Thank you for your support and prayers and for sharing in the joy of Anne’s long-term recovery! Tomorrow marks five years since the car accident which left Anne with a traumatic brain injury. Five years with our new Anne. Five years without the old Anne. We’ve lived through so much heartache and pain. We’ve all grieved – each at our own pace and in our way – and we’ve come through to the other side. We are a family marked by disability. We park in handicapped parking spaces and work together to lift Anne’s wheel chair in and out of our van. 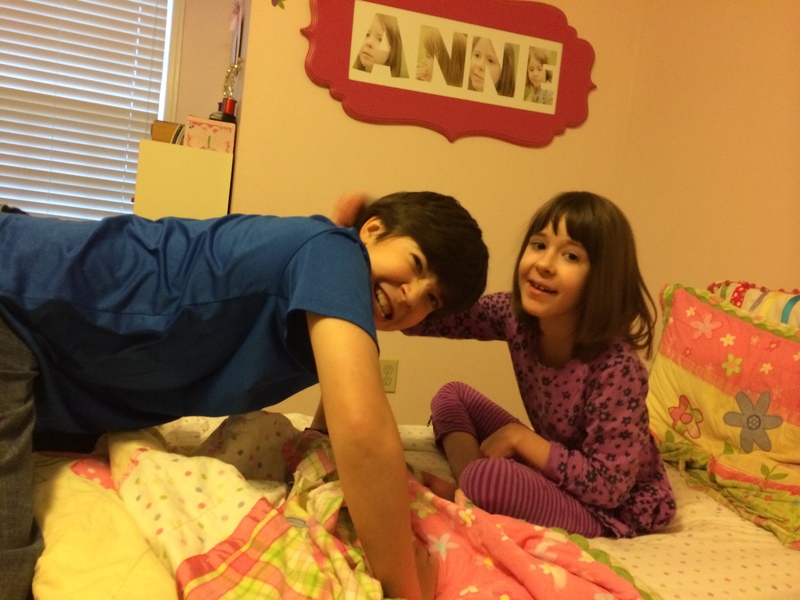 Each child can assist Anne in walking to and from the kitchen table and help her get comfortable in bed. Her little sister helps Anne bathe and brush her teeth. And Anne’s older brother carries her up the stairs and comforts her when she’s angry or scared. We live at a different pace. 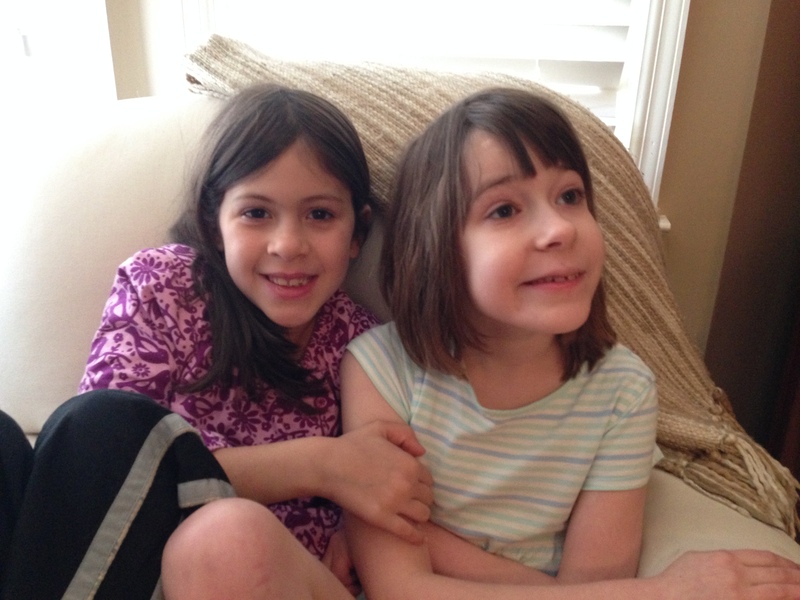 Anne’s therapy schedule only allows one extracurricular activity per child per semester. Sometimes I feel like the world races by us like a time-lapse video – while we’re stuck in our slo-mo world. 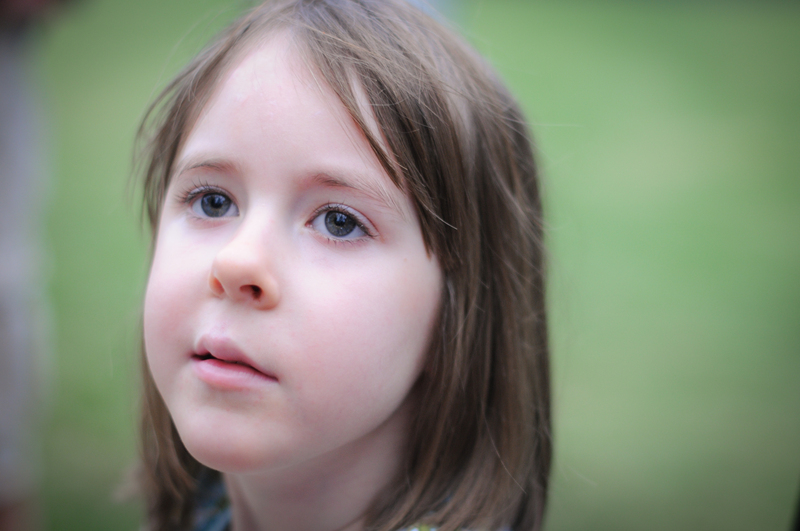 Each frame of our lives is affected by Anne’s brain injury. Recently I was telling a friend that there will always be a part of me that will remain sad. Sad for the life that Anne will never live – sad for the milestones that she will never reach – sad that I will never see the old gleam in her eyes – sad for what we’ve lost. But our sadness does not minimize the gratitude we have for Anne’s life and progress. We are thankful for her quick wit and crooked smile. Thankful for her simple faith and deep love of people. Sometimes I hold her in my lap and am overwhelmed with gratitude that I get to be her mom. I feel so privileged – so honored to be Anne’s mom. She is a jewel and she’s mine! I have a special needs child. There. I said it. 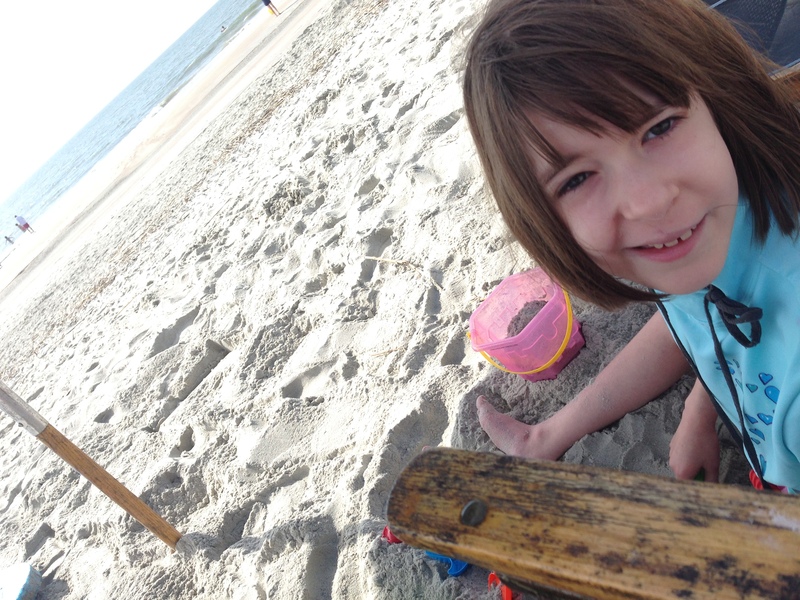 Before our accident, I didn’t know any other family with a special needs child. I was blissfully ignorant of this hidden world in which I now find myself. The first secret is that there are a ton of special needs children! Just visit any reputable pediatric therapy center, and it will be PACKED. There are so many families struggling in this secret world. It makes me realize how miraculous a healthy child is! 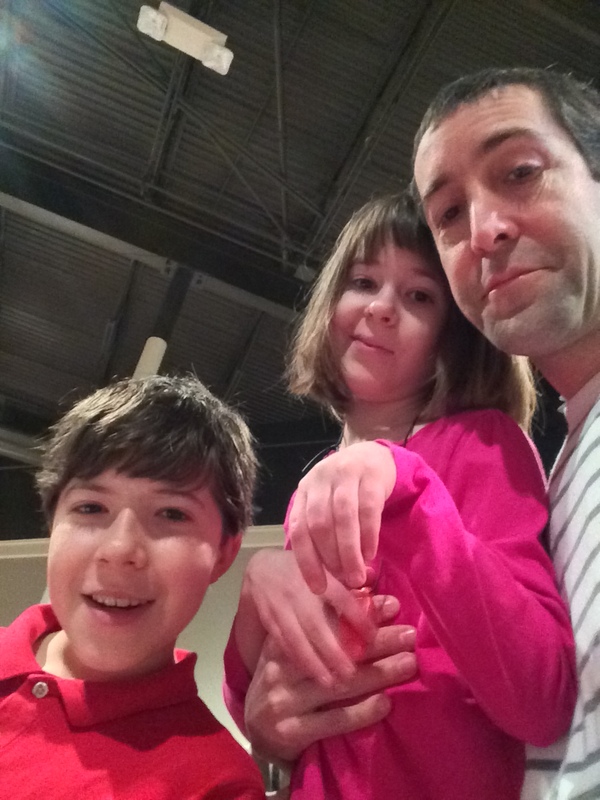 The second secret is that even though our government goes to extremes to make our country accessible to the disabled (and I’m grateful), accessibility is still a huge challenge for our family. For example, a simple trip to the pool is difficult for us. In my limited experience, pools are sometimes not wheelchair friendly, so I have to carry Anne into the pool area. Doing regular life is difficult – especially running errands. Lifting Anne and her wheelchair in and out of the van is part of my normal life routine. But I’ve found that I only have the energy for one outing a day with Anne. So grocery shopping, back to school shopping and general “running around” has to be spaced out. The fourth secret is the best. I am still surprised at how much joy Anne brings our family and others. The time I get to spend with Anne is beautifully rewarding. She’s a treasure, and everyone who spends time with her comes away better for it. Recently, someone asked Eric to describe his relationship with his children. He said, “My oldest thrives academically so I share my love of technology with him. My youngest is gifted athletically, so I share my love of running with her. My middle daughter (Anne) struggles with most everything, yet she teaches me the most about life.” Anne is our glue. I can’t imagine life with her any other way. According to Anne’s teacher, a few of the fire fighters who helped with Anne’s rescue (4 years ago) came to visit her this morning at school!!! How incredible is that??!!!! The emergency personnel that surrounded our vehicle in the minutes after our accident were real-life heroes that day. God used those men and women to save Anne’s life. Many of them came to visit Anne in the hospital – days, weeks and months afterwards. And many of them still follow Anne’s story on this blog. So here is a shout-out to the heroes that helped save Anne’s life…Thank you!! Thank you for risking your life for the welfare of others. 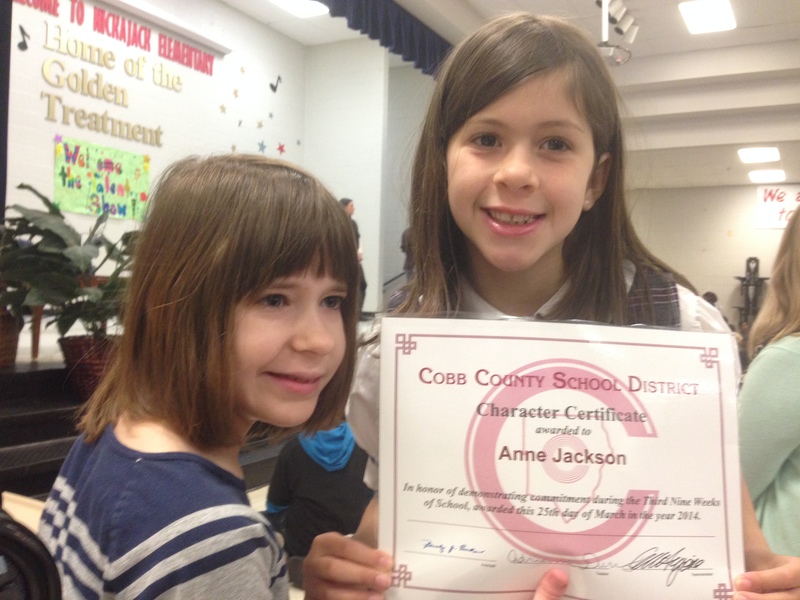 Thank you for your commitment to Anne’s recovery and thank you for taking the time to visit her today at school! You made her day and you made her family very grateful. Today marks 4 years since the accident. 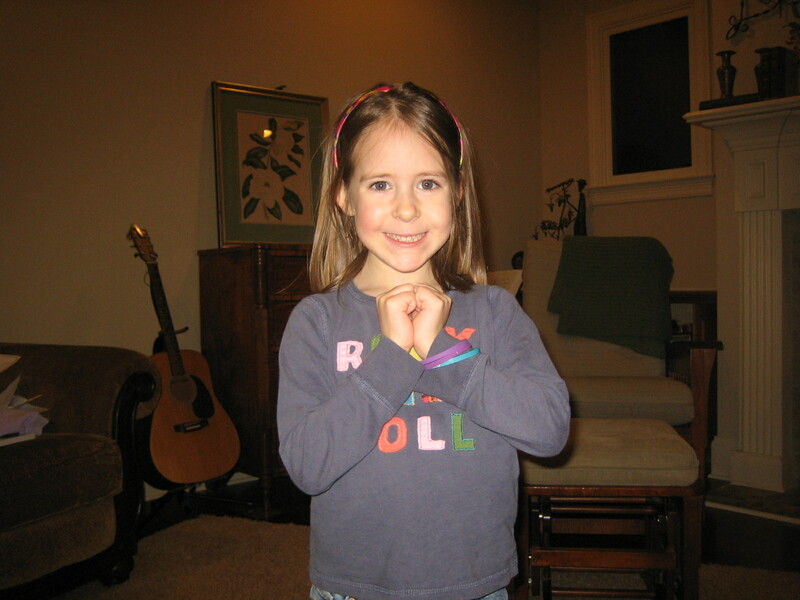 On April 13, 2010, Anne woke up as a healthy, able-bodied, 5-year-old child. At noon, she was almost killed in an automobile accident. Every day since then is a gift for which we are profoundly thankful. Anne quote of the day: "I can't see God because He is in my heart." Anne finished up her second week of Intensive TheraSuit therapy on Friday. The end of the second week is definitely the most difficult. Here is a video of her walking with a cane late in the day on Friday. Her legs look like noodles. She is SO tired! We are so thankful for our precious Anne and we can’t wait to see what incredible things God does with her life!!!!! Lately I’ve been finding myself especially grateful for Anne’s words. A friend of mine graciously stayed with our kids recently so Eric and I could go out to celebrate my birthday (yes, Happy Birthday to me :). When we got home, my friend said, “I had no idea Anne talked herself to sleep!” It’s true. I actually have never considered how strange this is! Sometimes she talks to Kate; sometimes she talks to herself, but every night she giggles and sighs and in the quiet darkness, she is lulled to sleep by the sound of her own voice. It reminds me that her voice is a gift. It was the first part of her brain to switch back “on” after the accident. She barely had the ability to move her right index finger, but she could talk. Her eyes were fixed, un-moving, but she could talk. Even now, her vocabulary, sentence structure, reasoning and conversation skills are her strength and she daily uses this gift to bless others. I’m so grateful that Anne is able to communicate her deepest needs and longings to us. The beauty of Anne’s ability to utter words is that she is also able to absorb words. And she absorbs them deeply, so my answers to her, the words I speak to her, have power. So before I answer her, I pray. I need God’s words, not my words. Anne. Listen to me. God has given you a gift. A very important gift. He has given you the gift of words. Everyday I watch you bring joy to others through your words. You will have to fight to overcome your brain injury for a very long time. But God uses your brain injury to bring joy to others. You are a treasure. Words. They are so important. Lately, I’ve been praying for God to show me how to use my words more effectively for Him. I recently shared Anne’s story with Kat Lee, the founder of the Inspired to Action podcast. If you’ve never heard me talk about the gory details of the accident, I share that story along with how God’s presence was so palpable both during and after the accident. 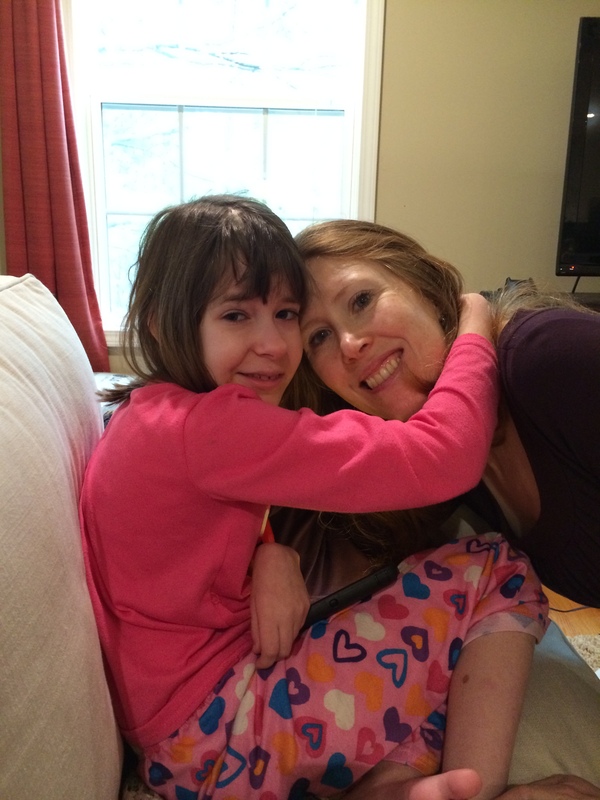 I also talk about Anne’s gift of words and ways to help moms of special needs kids. It’s so easy for me to be careless with my words! But I pray that my words in this podcast reflect God’s goodness and faithfulness.